The subject of resolutions always pops up on the cusp of a new year. Some faithfully make a list and approach the new year with determination to follow through. Others, after years of resolving to do better with exercise, diet, money management, tackling difficult tasks, or whatever, don’t even bother to set goals anymore because they feel failure is inevitable. However, goal setting jump-starts forward motion and is beneficial, even if you don’t fully follow through. Goal setting requires self-evaluation. OK, let’s face it, self-evaluation is something most of us avoid. It’s much easier to live with the delusion that you’re juggling all the balls and never dropping any, but taking an honest look at yourself, your progress, and your goals is an integral part of forward motion. The beginning of a new year is a good time to take inventory. Reassess last year’s goals. Were they too lofty? Did they challenge you enough? Were they realistic? Did you include them on a list just because they sounded good? Then determine what prevented you from reaching goals last year. Did you encounter unexpected health challenges? Did you procrastinate, and if so, why? Did you lack resources and couldn’t figure out how to obtain them? Were you lazy? Once you honestly look at last year’s goals, whether you accomplished them or what prevented you from doing so, decide if there are goals you want to re-establish or discard for this year and any new goals. Goal setting helps you focus. The new year is like a blank sheet of paper or a newly blacktopped road. In setting goals, you give yourself an outline or roadmap. Without direction, you wander, waste time and effort on inconsequential things, and end up feeling unproductive and unfulfilled. When asked, most people admit they spend too much time on social media, surfing the internet, or watching TV. Decide to put goals ahead of idle pursuits. Goal setting rekindles self-discipline. So, yeah, discipline is an unpopular word. It’s so much more fun to just do whatever you please! Renewed emphasis on diet, exercise, cessation of detrimental habits, and spiritual growth all require discipline. While you might not want to make discipline part of this new year, the rewards are worth any discomfort or feelings of deprivation. Start small. Commit to do, or not do, something for 30 days. If you make that goal, try for 30 more. Short goals, attempted and accomplished, will strengthen your self-discipline resolve. 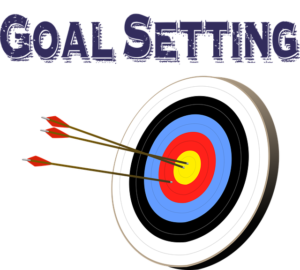 Goal setting is good for mental health. January is often a letdown month physically and emotionally. The holidays are over, the landscape bleak, and the weather is cold and often dreary. A depressed mindset looms. Consider setting goals of a creative nature. Rekindle a skill, talent, or hobby you’ve allowed to become dormant. Take a class to learn or improve in an area of interest. Creativity challenges your mind, sparks joy, and provides satisfaction. Goal setting helps you move forward. Often we are paralyzed by the past, replaying regrets, hurts, and ways we feel we have been wronged. Goals provide encouragement to shake off the shackles of the past, become forward-looking, and take positive steps toward your best year yet. Goal setting jump-starts forward motion.